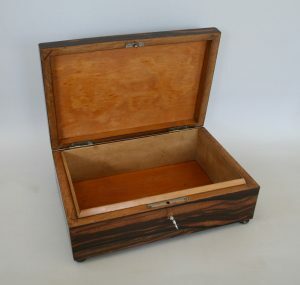 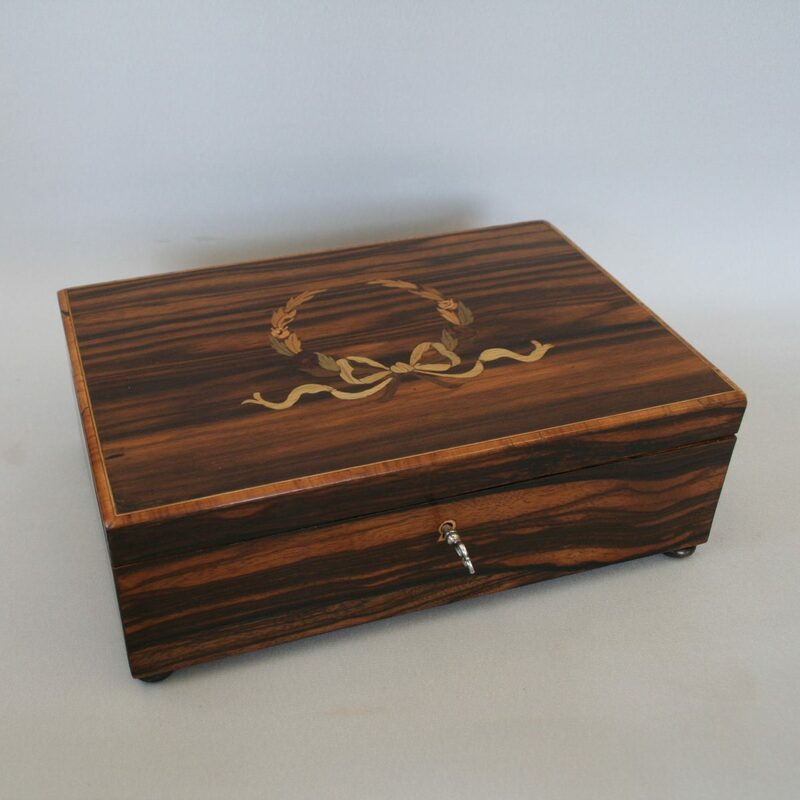 A coromandel wood jewellery box. 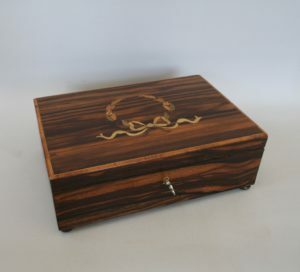 The top has a marquetry inlay of a wreath and bow. It has a working lock and key and sits on bun feet.